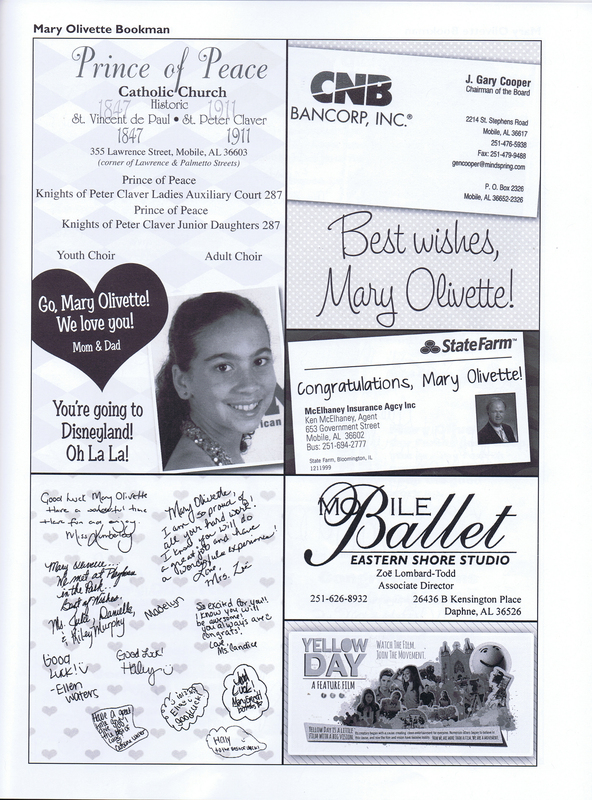 Mary Olivette is now 13 years old and in the 8th Grade. Join us this summer at the Playhouse in the Park for the delightful story of the "practically perfect" nanny Mary Poppins.? Based on the book by P. L. Travers and the movie produced by Disney studios, Mary is a super-nanny who flies in with her umbrella in response to the request of the Banks children.? She proceeds to put things right in the Banks household with the aid of her extraordinary magical powers. ?This fun-filled musical is wonderful for adults and children alike. You'll be singing along in no time..."in the most delightful way!" The show runs from July 23 through August 16.? Thursday performances are July 23 & 30 at 7:30 p.m.? 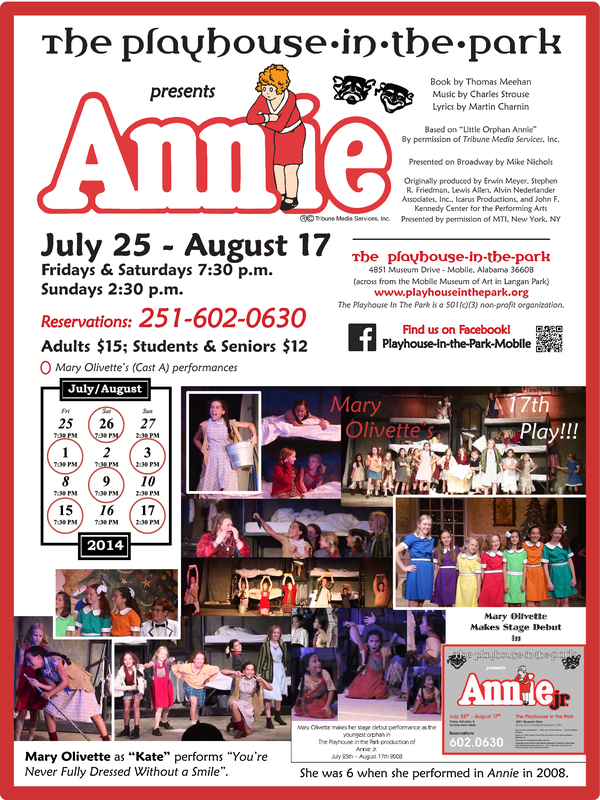 Friday and Saturday performances are July 24, 25, 31, August 1, 7, 8, 14 & 15 at 7:30 p.m.? Sunday matinees are on July 26, August 2, 9, & 16?at at 2:30 p.m.?Tickets for adults are $15, and students and seniors are $12.? ?Call 251-602-0630 for reservations! Produced with permission of Music Theater International New York, New York. Mary Olivette as "Kate", one of the principle orphans in"Annie"
"Annie!" 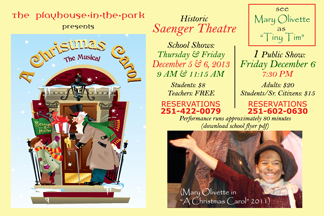 presented by Playhouse in the Park at the Playhouse in the Park across from the Mobile Museum in Langan Park. 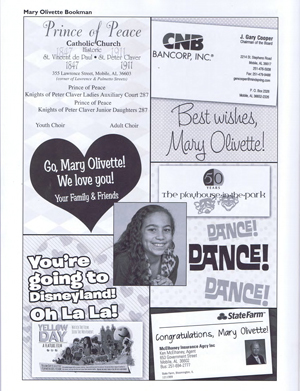 Mary Olivette is Kate, one of the principle orphans, singing and dancing to enjoyable songs such as "It's a Hard Knock Life" and "You're Never Fully Dressed Without a Smile." This is her 17th play for Playhouse in the Park. She was 6 when she performed as the youngest orphan in "Annie!" in 2008. The story of the fiery young orphan girl whose adventurous life goes from rags to riches, will run from July 25 through August 17 on Fridays and Saturdays at 7:30 p.m. and Sundays at 2:30 p.m.?Audiences will delight in the adventures of the fiery young orphan girl whose life goes from rags to riches with her dog Sandy and her wealthy benefactor "Daddy" Warbucks. ?A wonderful show for the whole family! 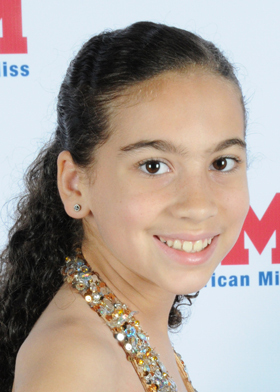 Mary Olivette excelled again in the 2014 Alabama National American Miss Pageant in June. For the second year in a row, she won Best Resume out of 75 Pre-Teens & Spokesmodel - 1st Runner-up. This year her goal was to make the TOP 15 & she did it!!! She won over 5 trophies & awards! She also competed in the Top Model competition. Thank you to all the Sponsors in 2013! 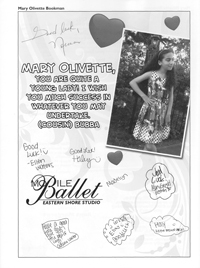 Mary Olivette still needs sponsors to offset pageant fees and expenses. She needs $970 for contest fees and optional contests. Your donation will be greatly appreciated. Thank you so much for your support!!! Competing with 5th-8th Grade Students, Mary Olivette won 1st Place in the Woodmen of the World Speech Contest for her speech Healthy Living! Last year, she won 2nd Place for her speech about someone who overcame something. She chose Vivian Malone Jones being the first African American to graduate from the University of Alabama. 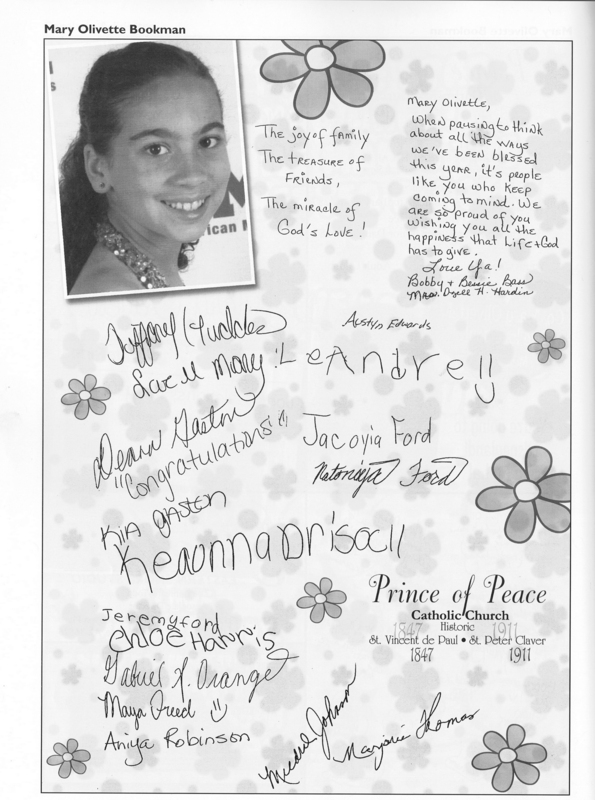 This was Mary Olivette's first KPC Junior Conference. Representing the KPC Jr. Daughters Court 287, she won 1st Place in Talent (singing and playing the piano), Spelling Bee, and the Speech Contests for her speech Worship Like a Rock Star: All Rock Stars Are Not Famous.The speech was also published in the 2014 Metro Mobile Reading Council 'Young Authors' Anthology'. Merry Christmas to All and Have a Blessed New Year! 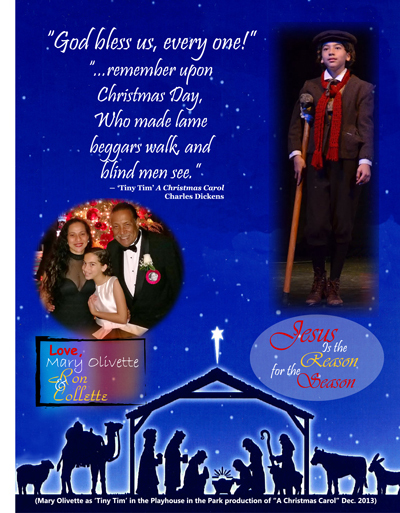 - Tiny Tim "A Christmas Carol"
Mary Olivette as "Tiny Tim" in a Christmas Carol - The Musical"
"A Christmas Carol - The Musical" presented by Playhouse in the Park December 5-6 at the historic Saenger Theatre was a rousing success! Over 9,000 students, teachers, and Playhouse patron families and friends enjoyed 4 school performances and 1 public performance! Based on the heartwarming?Charles Dickens?classic Christmas story of love and redemption, spiced with original songs and festive dance numbers.? ?A wonderful show for the whole family! 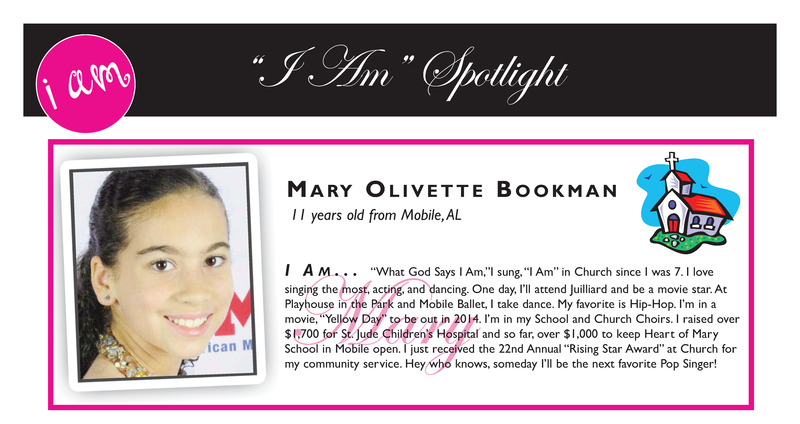 The 2013 National American Miss (NAM) Alabama Scholarship Pageant in June was a fantastic, uplifting experience for Mary Olivette. This was her first pageant and she won 5 trophies including Best Resume, and Spokesmodel - 1st Runner-up in the Pre-Teen division of 87 young ladies. The Spokesmodel win earned her the opportunity to compete in the Pre-Teen National All-American Miss Scholarship Pageant Thanksgiving week in Anaheim, CA. 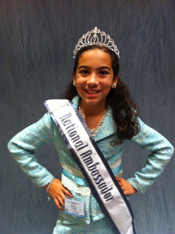 Mary Olivette continued to excel in her first National Pageant in Anaheim! 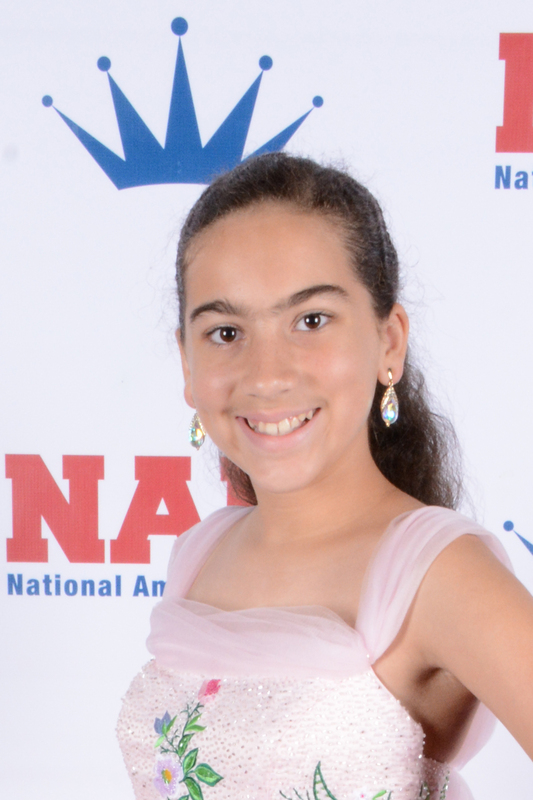 She won Pre-Teen Best Resume - 3rd Runner-up, National Ambassador, Spirit of America, and National Achievement Awards, as well as 1 of 10 "Spirit Sticks" for her outgoing personality and enthusiasm among the 178 Pre-Teens nationwide! She did so well she is already registered for and looking forward to the 2014 Alabama State Pageant in June. NAM Pageants are dedicated to celebrating America's greatness and encouraging it's future leaders. The pageant program is based on inner beauty, as well as poise, presentation, and offers an "All American Spirit". Contestants are scored in Interview, Personal Introduction, Formal Wear, and Community Involvement. The St. Ignatius School National Elementary Honor Society 6th Grader has led by example in serving her Church, School, and the Community. She's been singing in the St. Ignatius?Choir since the 3rd Grade and in?Prince of Peace?Youth Choir?since she was 6,?and is credited with inspiring other children to join the Choir. 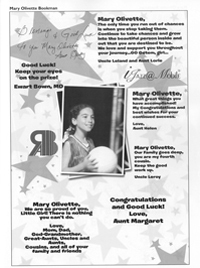 In 2012, Mary Olivette?raised over $1,700 outside of school in 3 months for?St. Jude Children's Research Hospital, the highest individual total raised in the area.?? Mary Olivette was surprised to receive the 22nd Anniversary ‘Rising Star’ Award from Ms. Carolyn Francis, President, Prince of Peace Church Ladies of the Blessed Mother Sodality. President Francis stated, "Mary Olivette Bookman, on October 13, 2013, was presented the ‘Rising Star’ Award which is given to young persons who are active in the Church and in the Youth activities of their Church. 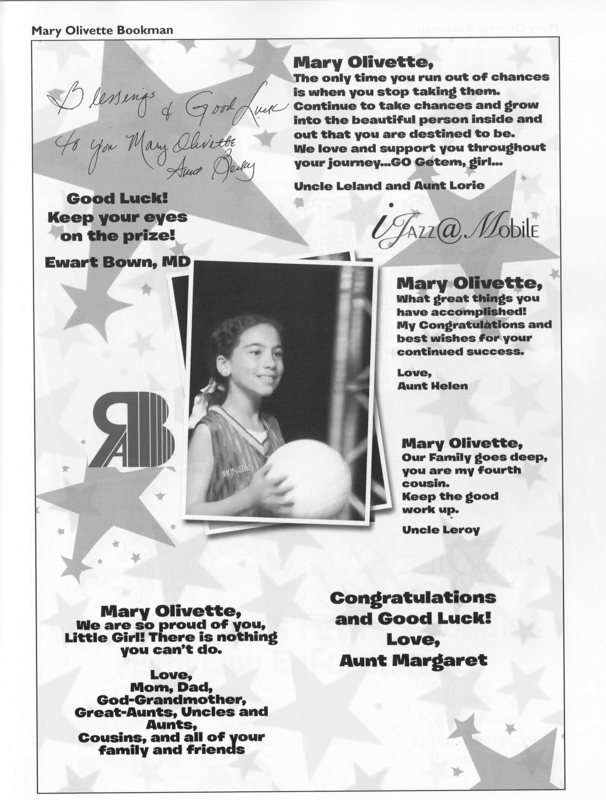 Mary Olivette is the youngest recipient of this award. She was given this award because she stands out in all areas of youth Church activities. "The Blessed Mother Sodality wants her to carry on in displaying her talents with her focus on her virtues of caring and sharing with God as her Spearhead. Her humbleness is what shines in all of her activities because she thinks of others, as well as herself. The Sodality was very proud to present Mary Olivette Bookman with this award." Mary Olivette chose? "community service" for the Spokesmodel competition topic. 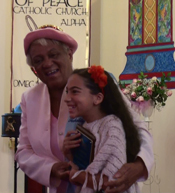 Her speech,?“A Church without a School”, was to support re-opening St. Peter Claver School in her community. Now, to help keep another community school,?Most Pure Heart of Mary? (MPHM), open, she'll donate 20% of her Pageant fundraising up to $5,000 and everything over $5,000 to MPHM. The National Pageant cost well over $5,000. Mary Olivette is still accepting donations,?selling Krispy Kreme doughnut coupons ($5)?and the?MPHM?book, "From the BACK of the PEWS to the HEAD of the CLASS"? ($14.95?all proceeds?to MPHM). NAM has allowed her to take her cause of schools in the community nationwide. To date, she's raised over $1,000 for MPHM in direct donations and book sales. 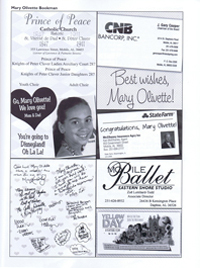 Please continue to sponsor Mary Olivette! NAM?awards 1.5 Million dollars in cash, scholarships, and prizes to recognize and assist the development of young women nationwide. ?There is no swimsuit competition and no make-up on age 12 and under participants. 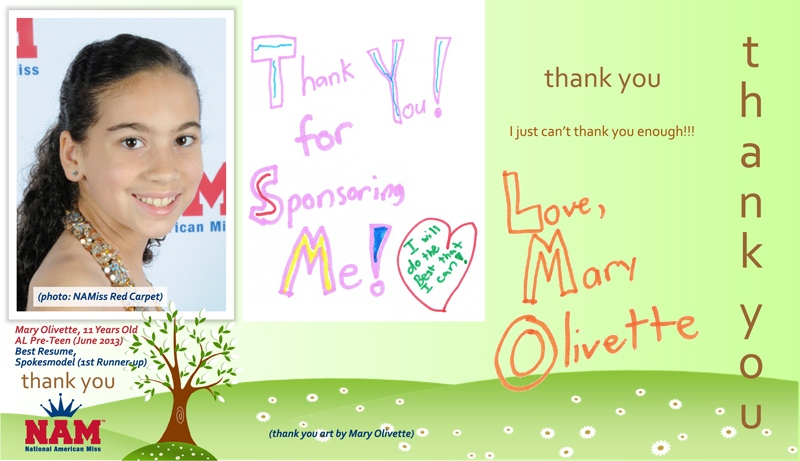 Mary Olivette's goal is $5,000! After she reaches her goal, she will continue to raise money for Most Pure Heart of Mary. Any donation will be greatly appreciated. ?Thank you so much for your support!! !